Over the weekend, we finished CADing and reviewing the drivebase. We sent the baseplate out to be laser cut. 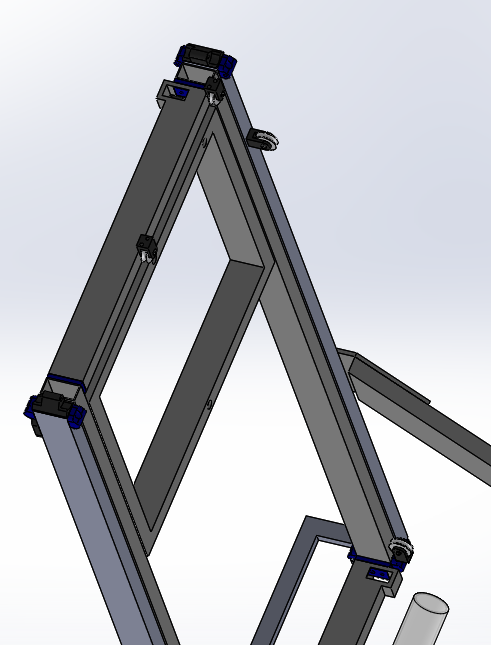 At our next build, we need to manufacture and assemble the drivebases so they can be welded on Thursday. 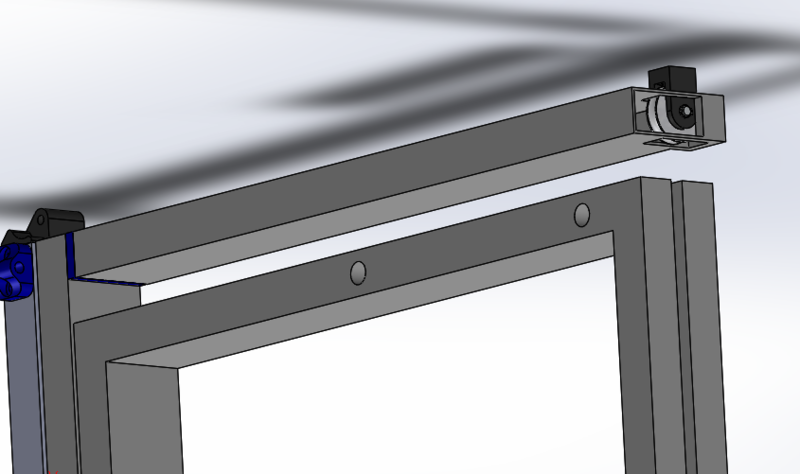 On Thursday, we will need to deburr the drivebases so that on Friday they can be anodized. 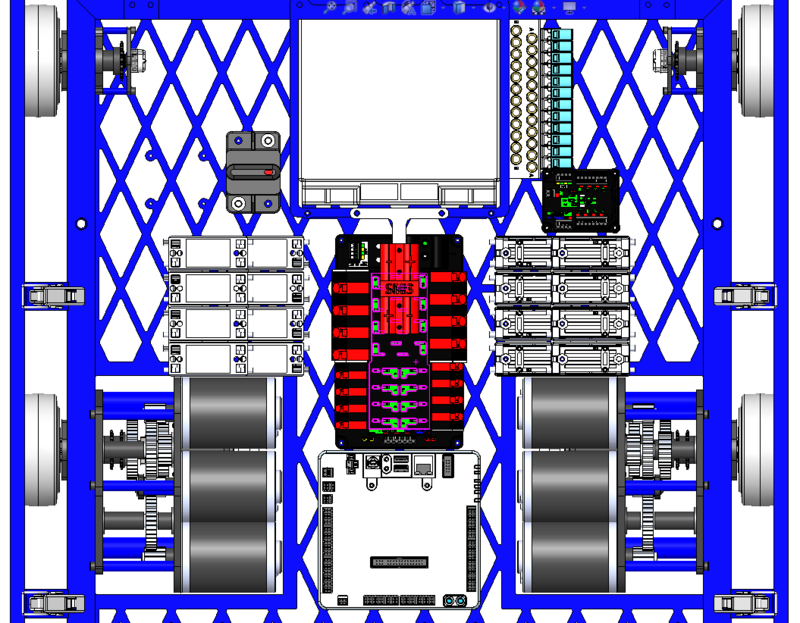 For a image of the electronics layout, you can look below. 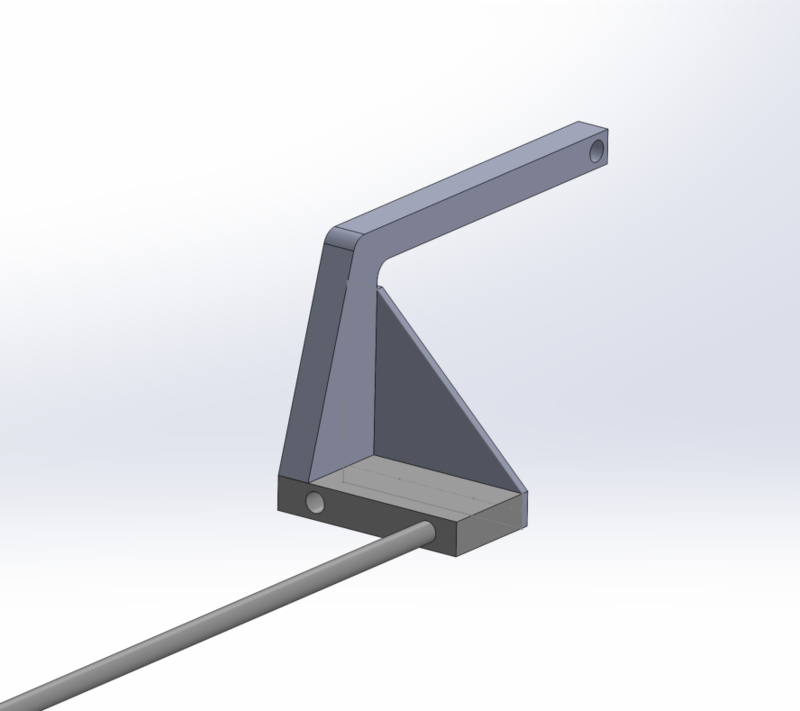 On Monday, we started the build by designing the forklift arm that we would be using to carry other robots at the end of the match.  This design certainly needs some refinement, but the image below can give you a rough idea of what it looks like. Some of the other challenges tackled during build were stowing and packaging in a space that is already really crowded with other subsystems. The roller coaster wheels that are still being designed need to fit into the same general space, so we spent a decent amount of time working with him to make sure that our designs didn't collide with one another. On Wednesday's build, we will look into this a bit more and get it reviewed before we start detailing each sub assembly. Today, we investigated different gearbox options to power the elevator. 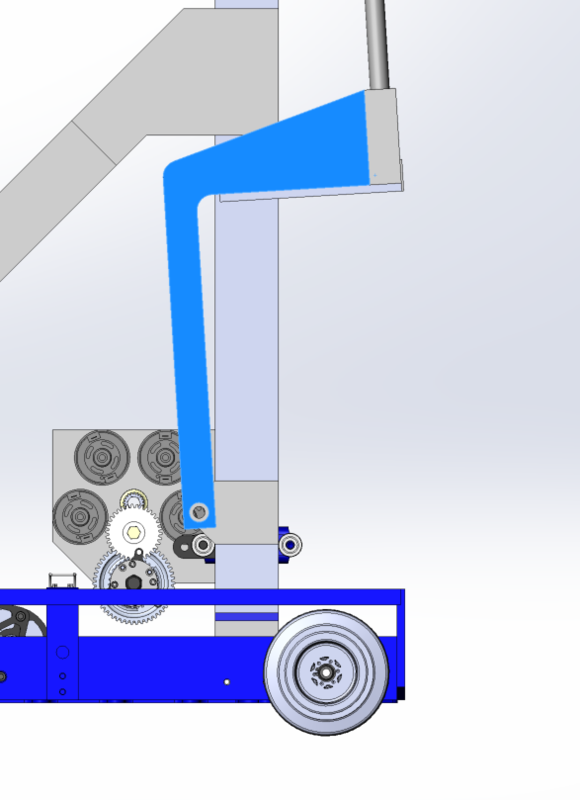 Both options contain 2 speed gearboxes (high gear for fast cube cycling and low gear for hanging). One option is to mount the gearbox is to have it attach off the side of the upright such that the motors do not interfere with the intake carriage. 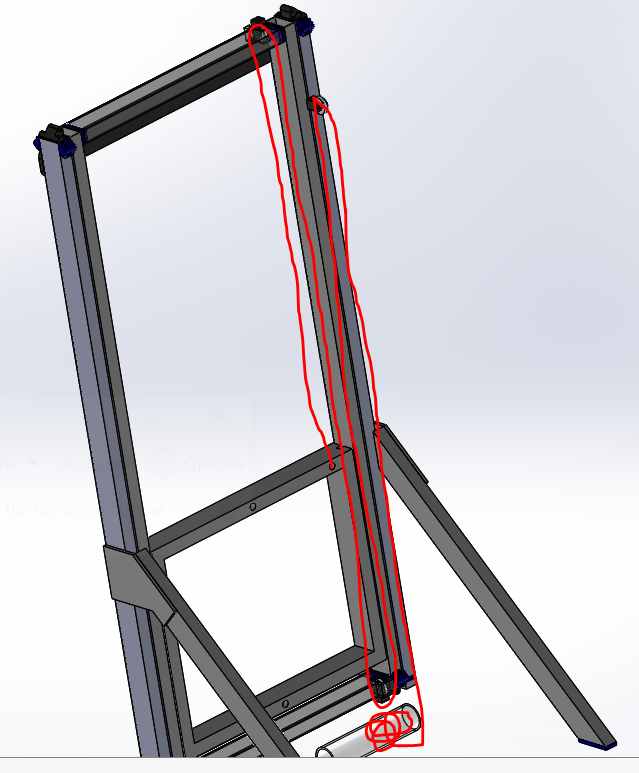 Another option is to mount it between the elevator crossbar and the baseplate so that we can bring the spool as low as possible. 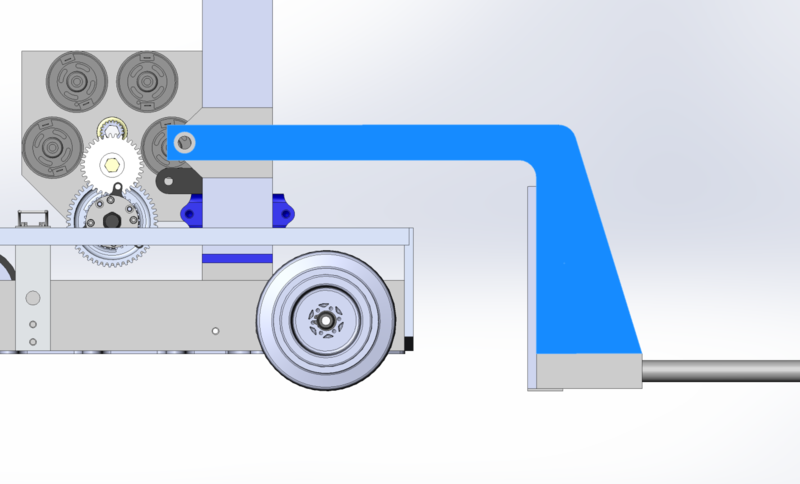 For the cable runs between stages, we are working on deciding whether we want a single pullup cable that is connected to the center of the carriage and is then redirected to the side or having two pull up cables, one on each side of the carriage, and does not require any redirect pulleys. 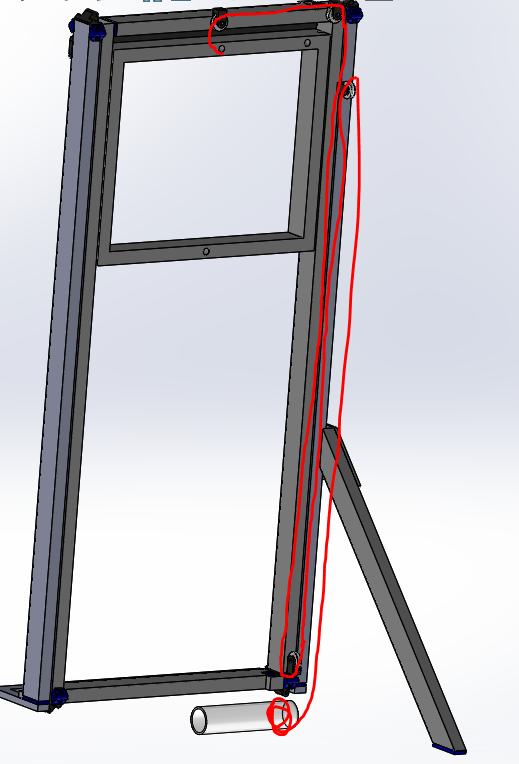 Since the drivebase CAD has been frozen, we decided to mount the roller coaster wheels to the gusset at the junction of the angled A-Frame support and Elevator Uprights. We plan to finalize this idea at the beginning of our next build. We worked on updating our roborios and talons to the latest 2018 firmware. We also updated all of our driver station laptops with the FRC Update Suite. Now that all our electronics are running on 2018 software, it should be a lot easier to program prototypes and test new code as we no longer have to keep switching between 2017 and 2018 code. We worked on a field mapping program using the lidar sensor and Google Cartographer. The goal of this program is to push the lidar around the field on a cart and use the scans we get as we move around in order to build a map of the field. 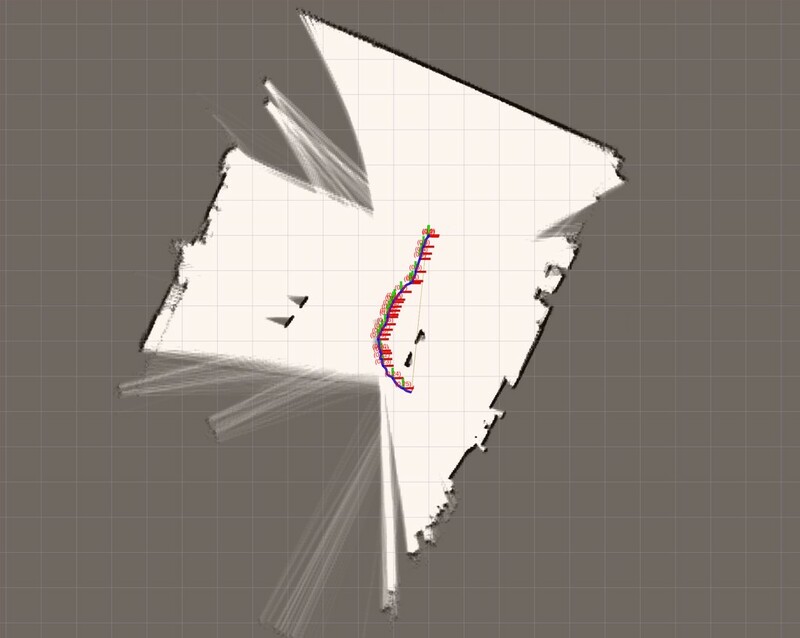 We want to use this data to scan a field before every tournament and adjust our autonomous paths accordingly so they are best optimized for small differences. This would be easier and more accurate then the method we used last year, which was to measure the field manually using a tape measure. We also worked on an algorithm to determine our starting position in autonomous using the lidar and our field mapping data. 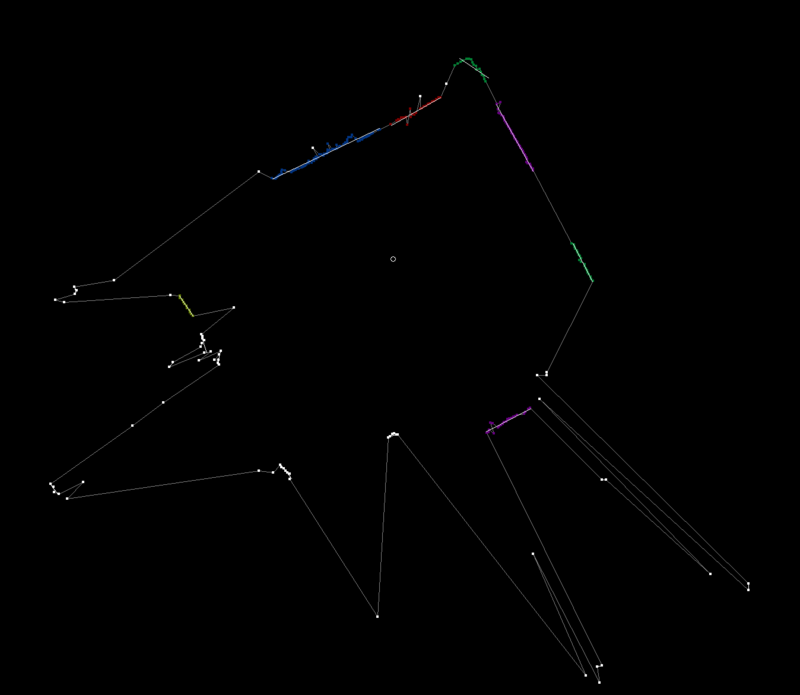 We detected clusters of points in the lidar data based on their distance from each other then drew best fit lines through the clusters.